Luis Sanchez has been working legally in Saco for six years. 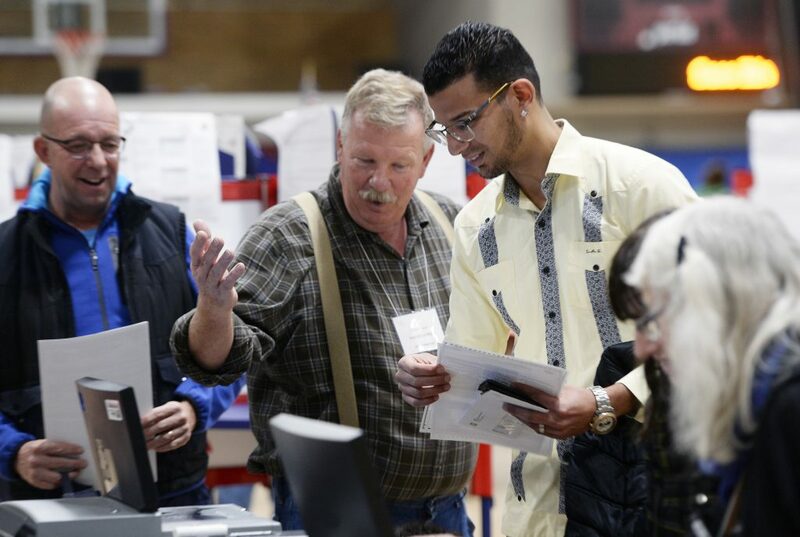 Within five days, he became a citizen and then cast his first ballot as one. 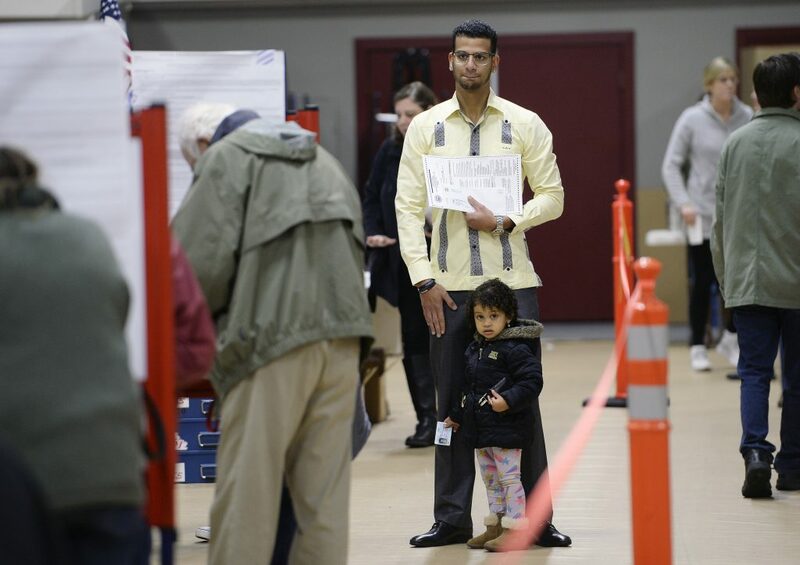 Shortly after 8 a.m. Tuesday, Luis Sanchez walked into the Saco Community Center with his wife, Raimy Sanchez-Constantine, and 2-year-old daughter, Sophia, bouncing around his legs. Luis Sanchez of Saco poses with his wife, Raimy Sanchez Constantine, and daughters Sophia Sanchez and Julia Constantine, right, after becoming a U.S. citizen at a naturalization ceremony at Buxton Middle School on Nov. 2. He was dressed in a crisp yellow button-down shirt, gray slacks and polished shoes. In his hand was a green voter registration card and a recent piece of mail to prove his Saco residence. It turns out Sanchez was over-prepared. A poll volunteer looked over his materials and pointed him to a waiting line for Ward 5. 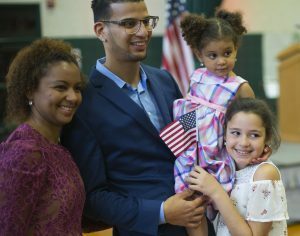 Sanchez, 26, had taken the oath of U.S. citizenship on Friday, and four days later he cast his first vote as an American citizen. “I was looking forward to it,” Sanchez said. When he made his way to a voting booth, Sanchez took his time to fill out his ballot. Sophia played around his feet the whole time. He last voted eight years ago, Sanchez said, after feeding his ballots into electronic voting machines. That was in the Dominican Republic though, before he moved to the United States. Sanchez came to Maine six years ago on a cultural exchange visa and worked at Funtown Splashtown USA. He met his future wife and they were married a year later. Now, he works as an Uber driver and lives in Saco. Voting in the U.S. was pretty similar to voting in his native country, Sanchez said, except here he didn’t have to stain his thumb with indelible ink to prove he voted. The state referendum questions also made Sanchez pause. He didn’t do all his research before going into the voting booth, so it took him a while to read and understand the five ballot questions, for highway, infrastructure and education bonds and an elder home care program. Luis Sanchez is assisted by poll worker Joe Corriveau as he puts his ballots into a scanner at the Saco Community Center. 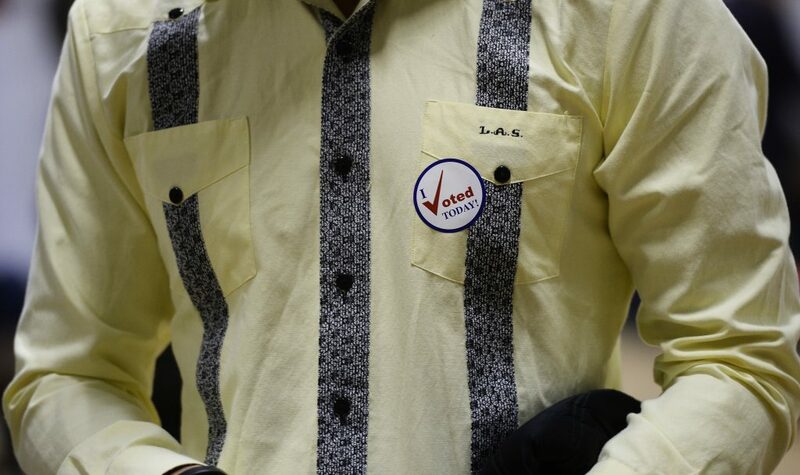 Voting in the U.S. was pretty similar to voting in his native Dominican Republic, he said, except he didn’t have to stain his thumb with indelible ink to prove he’d voted. “I had to think through those a couple times to make a decision,” he said. Candidates were an easier choice. Sanchez leaned Democrat, even though he didn’t vote for every candidate from the party. “What they were doing, it was more interesting to me,” he said, standing near the polling station exit. “And his wife made him vote for them, too,” Sanchez-Constantine chimed in. The sticker makes it official: Luis Sanchez has cast his first vote in a U.S. election, four days after becoming a citizen. Immigration, a hot-button political issue for voters across the country, is especially close to her family, Sanchez-Constantine said. 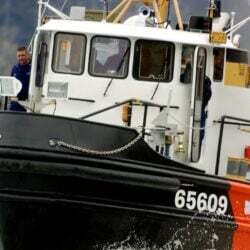 The couple both entered the country legally and work full time. Sanchez-Constantine became a U.S. citizen almost 10 years ago. But the Trump administration’s hard-line stance on immigration makes them nervous. News stories this summer of border patrol agents forcibly separating and detaining parents and children who crossed the southern U.S. border terrified them that the same could happen to their family. It also convinced Sanchez and his wife it was time for him to get his citizenship and vote. The election turned out about how he thought it would, Sanchez said, reflecting on the results Wednesday afternoon. He was happy to see so many women and people of color win seats in Congress and state legislatures, including Somali refugees and a Latina governor in New Mexico.